The Avalanche would love to forget 2016, but will 2017 be better? 2016 was not kind to the Colorado Avalanche. At the end of the 2015-2016 season, they fizzled out of the postseason picture with uninspired play down the stretch. Over the summer, they couldn’t be major players in free agency, as they had to take care of their own. Then, Patrick Roy resigned. Now, they find themselves in the cellar of the league standings. While the calendar has turned to 2017, the Avalanche are still midseason. Will we see a new effort in the new year? 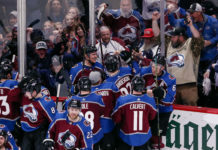 Only time will tell, though the games played since the start of October still count; and it’s a distinct possibility that the Avalanche have dug themselves too gaping of a hole to get out of. Still, Colorado sports fans need some glimmer of hope. The mighty Denver Broncos have fallen, failing to qualify for the postseason just a year after winning the Super Bowl. The Colorado Rockies weren’t really expected to compete and they didn’t. The Denver Nuggets are five games under .500, and continue to leave fans yearning for the one-and-done days of George Karl. 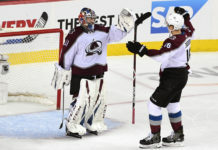 The Avalanche entered the 2016-2017 campaign with promise. They have a young core, the members of which have now all been locked up long-term. They barely missed out on the playoffs in each of the past two campaigns, and looked poised to take the next step. Unfortunately, the next step was a gigantic leap backwards. Now, not only do they struggle to defend, they struggle to score as well. The Pepsi Center, which once boasted one of the best home ice advantages in the NHL, is now half empty on most nights. The team hasn’t been giving people much reason to show up either, as they have lost 10 straight in their own barn. Still, there is some reason for optimism. 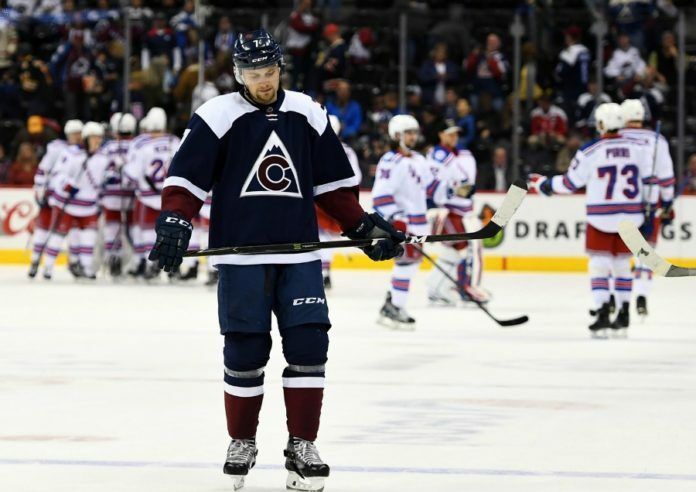 The Avalanche simply have too much offensive talent to be curtailed forever. Tyson Jost, their first round selection (10th overall) in the 2016 NHL Entry Draft, has impressed during his first season in the NCAA, and could contribute as soon as next season. Erik Johnson will also eventually get healthy, which should help their blueline. Also, it has to be mentioned that Jared Bednar took the Avalanche head coaching gig on short notice, and is still getting to know a roster that he did not have an offseason to help build. As he learns more about his team, and they learn more about him, play should improve. 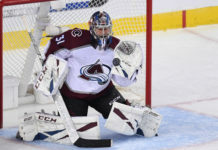 The Avalanche will look to start 2017 on a high note on Monday, as they take on the Vancouver Canucks. Luckily for them, the game is in Canada. So, could things be better for the Avalanche in 2017? Absolutely. Then again, it’s hard to imagine it getting much worse.